This entry was posted in Leadership Development and tagged leaders, leadership mantle, Leadership responsibility, Leadership roles, personal growth, successful leadership, vision on January 29, 2016 by Earl J. Griffin, Sr.. This entry was posted in Spirituality and tagged broken heart, Divine Assignment, God's call, Healing, hearing God, Listening to God on January 22, 2016 by Earl J. Griffin, Sr..
After this interview the wise men went their way. And the star they had seen in the east guided them to Bethlehem. It went ahead of them and stopped over the place where the child was. When they saw the star, they were filled with joy! They entered the house and saw the child with his mother, Mary, and they bowed down and worshiped him. Then they opened their treasure chests and gave him gifts of gold, frankincense, and myrrh. When it was time to leave, they returned to their own country by another route, for God had warned them in a dream not to return to Herod. They didn’t come for a blessing. They didn’t come to be healed, saved, or delivered. They didn’t come to ask for anything. They just came to worship. They came to be a blessing. When they came they came to give honor to Jesus as Emmanuel, God with us incarnated in Jesus. They worshipped by kneeling in surrender to Jesus as Lord. They worshipped by giving offerings fit for the destiny of Jesus both in the earth and in glory. They brought gold, the symbol of wealth in any kingdom. They brought frankincense which represented prayer and worship. They brought myrrh to represent the fact that Jesus would fulfill the will of God for his life and die on the cross. And when we come to church we should come to worship Jesus. We were called to worship Jesus. And we should bring offerings that are in line with our calling in Christ. Think on these things. When you come to church, you should come just to worship Jesus. This entry was posted in Spirituality on January 10, 2016 by Earl J. Griffin, Sr..
God Preparing the World to Worship Jesus! I learned in English Composition that the opening paragraph (the first couple of sentences) should give the topic of the essay. Upon careful outlining of these first two verses it is clear that Jesus is the subject worship is the verb and that Jews and Gentiles are the objects. In other words, this story of the magi is about how God prepared the world to worship Jesus. However, unless a person has an epiphany regarding Jesus, they will never come to worship Jesus, God’s only begotten son, who has been crowned both Lord and Christ. Matthew elucidates for his church, three ways God prepared the entire world to worship Jesus. Joseph as the representative of the lineage of David and the Jews are on board. He’s ready to worship Jesus. Now God turns his attention to the Gentiles and through prophecy and signs gets them on board to worship Jesus. First, God preordained the worship of Jesus out of every nation. In other words, God prophesized that he would send Jesus to restore Israel and unite the gentile nations under his light. 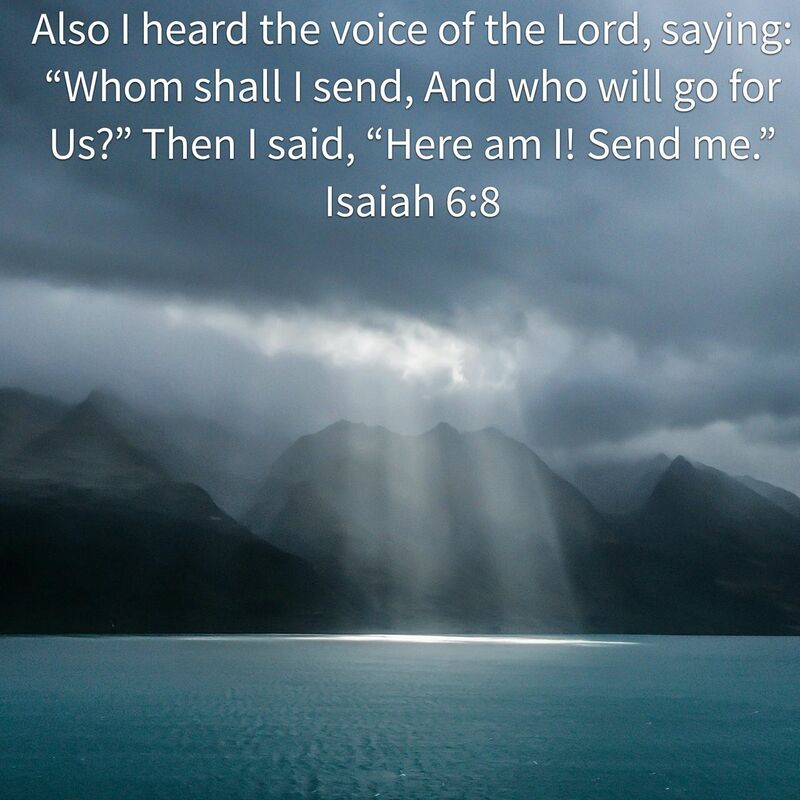 Listen to what the prophet Isaiah and Micah proclaim. And Matthew provides the fulfillment of what God prophesized when he wrote in Matthew 1:18-23, 18 Now the birth of Jesus Christ took place in this way. When his mother Mary had been betrothed to Joseph, before they came together she was found to be with child from the Holy Spirit. 19 And her husband Joseph, being a just man and unwilling to put her to shame, resolved to divorce her quietly. 20 But as he considered these things, behold, an angel of the Lord appeared to him in a dream, saying, “Joseph, son of David, do not fear to take Mary as your wife, for that which is conceived in her is from the Holy Spirit. 21 She will bear a son, and you shall call his name Jesus, for he will save his people from their sins.” 22 All this took place to fulfill what the Lord had spoken by the prophet: 23 “Behold, the virgin shall conceive and bear a son, and they shall call his name Immanuel” (which means, God with us). This is indeed the culmination of advent. This is the coming of the great king Jesus who will save his people from their sins; who will have dwelling within his body the entire godhead. This god-man will be the answer to the demands of salvation for all who worship him. It says to us no matter where you reside, God is able. God is able to lift you up when you worship Jesus. Paul also had such an epiphany and wrote in Colossians 2:9 reads, “For in Christ lives all the fullness of God in a human body.” Paul received this revelation from his encounter with Jesus was on the Damascus road and subsequent revelations as he labored in the gospel. Third, God protected his investment in Jesus. When God got ready for Jesus to enter this world; God did not allow evil to prevail. Herod was no match for God protected Jesus by unmasking the desires of Herod to the wise men and God kept Herod from preventing the Gentiles to worship. In one bold dream God cemented forever the worship of Jesus. He told the magi, don’t trust Herod; go back home another way. And try as he might, evil could not destroy the worship of Jesus. What makes some people see a star and immediately pack their bags and head across the dessert for Bethlehem looking for a savior? Why is it that some people can see the brightest light of all lights shining in the sky and be torn from their ordinary hum drum existence and be driven to go and look for something they truly believe is so important that it will change their lives—and change the world. And yet others will see the same star the same night, in the same way, and look up and say, “well, yes, that was nice, now let’s go back inside to catch the start of the third season of ‘Downton Abbey’”? The wise men (Magi) were hundreds of miles away, but they got it. These wise men teach us three very important lessons about the worship of Jesus. These wise men had an epiphany; a sudden realization that the star meant the fulfillment of prophecy; that God had done what he said; the Messiah had been born and getting to him to worship was the right approach. Only by coming to Jesus to worship could gratefulness be demonstrated by those who had this revelation. Third, these wise men teach us how to worship Jesus. They come to worship and they do not come empty-handed. They bring gifts prophetically linked to the destiny of Jesus Christ. Their gifts are ordinary gifts one would offer to a king: gold has great value; frankincense is a perfume; and myrrh is a common anointing oil. The gifts have symbolic significance in light of the identity of the baby to whom they are given. Gold is a symbol of kingship on earth, it symbolizes the wealth of the nations, the prosperity that occurs in the lives of those who worship God and obey his commandments. Frankincense (used for incense) is a symbol of deity, and is used in worship. “Incense engages our senses in inescapable ways. The smoke we see rising from the burning incense is the physical representation of our prayers rising to God. The aroma we smell reminds us to live our lives as a fragrant offering and sacrifice to God. Myrrh (an embalming oil) is a symbol of death. It was used in embalming (John 19:39 ), also as a perfume ( Esther 2:12 ; Psalms 45:8 ; Proverbs 7:17 ). It was a custom of the Jews to give those who were condemned to death by crucifixion “wine mingled with myrrh” to produce insensibility. It prefigures the sacrifice Jesus would make on the cross for the sins of the world. He would not take the numbing myrrh to reduce his sensation of pain, but his devoted disciples would anoint his body with it as he lay in the tomb. Hallelujah! Listen beloved, do you understand who Jesus is? Have you come to worship him as Lord and Savior? How do we honor Christ as our ruler, revere him as the Son of God, and lament his identity as the crucified Messiah? Because when we get the revelation, like the wise men got it, we too will return to our homes another way. Matthew 2:12, reads, “12 When it was time to leave, they returned to their own country by another route, for God had warned them in a dream not to return to Herod.” The revelation of who Jesus is will not allow us to return back to our worlds the same way we came. We will bypass evildoers; we will walk in the light of Christ and live by his commands. When you have an epiphany an awareness that Jesus is the light of the world and the Savior, your Savior from darkness and sin, you too will take another route home, to work, and to play. No longer will you be the same person you were before you encountered Jesus. No longer will you come to worship empty-handed. You just like the magi will bring gifts tied to the destiny of the church in the world. And that destiny is to make disciples and help usher in the kingdom of God in the earth. No longer will you be known for your frugalness; you will be known for your generosity because now you understand who Jesus is. Your heart, your life, and your possessions will be given to Jesus because you understand who He is. Hallelujah! Beloved, you and I were made for worship; we were made to give praise and glory to God through Jesus Christ. Yet, we must be prepared by receiving the revelation of Jesus contained in the Word of God. You and I must have an epiphany. Strange things happen when you experience an epiphany of who Jesus is. Look at what happened to the wise men; when they understood who Jesus was, they were totally transformed and determined to worship him. I dare say someone here this morning needs to see Jesus for who he really is. Jesus is God’s Son and God desires for you and me to worship him. Worship him as king of kings and lord of lords. Worship him because he is God’s Shekinah glory. Worship because he is your light and your salvation. God has prepared the world to worship Jesus? And if you don’t worship him now, you will. For Philippians 2:9-11 reads, “Therefore, God elevated him to the place of highest honor and gave him the name above all other names, that at the name of Jesus every knee should bow, in heaven and on earth and under the earth, and every tongue declare that Jesus Christ is Lord, to the glory of God the Father.” God has prepared the world to worship Jesus and he created you for the self-same thing. Will you worship him today? Will you do as these wise men, bow down and worship Christ? He stands ready to receive you into his kingdom today. Will you come? The door to the kingdom is open for you. Walk on in! Walk on in! This entry was posted in Spirituality, Uncategorized and tagged Believerer, Epiphany, Holy Spirit, Honor and Glory, Kingship of Jesus, Lord and Christ, Praise and Worship, Preparation to Worship, salvation, Worship, Worship of Jesus on January 3, 2016 by Earl J. Griffin, Sr.. Perfection alludes me; I’ve got work to do. If 2016 is going to be different from 2015, I have to do something different. I have to be intentional about the changes I need to make if I am to be successful. 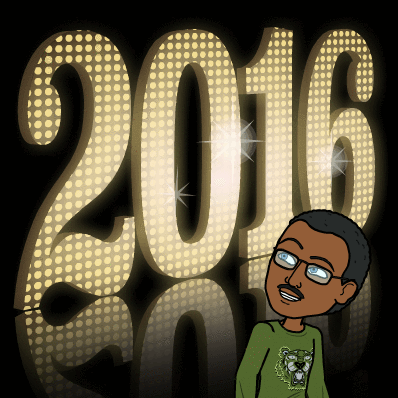 In 2016, I will be Intentional! Join me in a special webinar, January 4, 2016, 7pm and let’s talk about it. R.S.V.P. on my G+ page or on Facebook messenger! This entry was posted in Leadership Development, Spirituality and tagged accountability, achievement, action plans, Goal Execution, Intentional Change, success on January 1, 2016 by Earl J. Griffin, Sr..